For guests more interested in understanding and exploring the local culture and region, Lakshman Sagar provides itself as a gateway to a multitude of sights & sounds that most travelers desire experiencing through their journey through India. 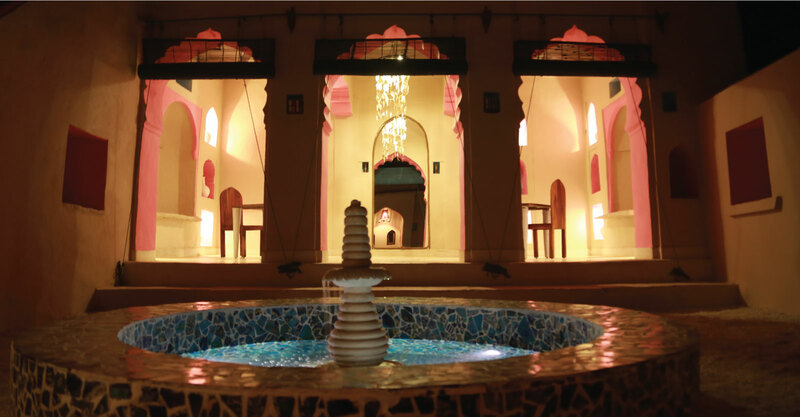 From royal heritage to local village culture to wild India, Lakshman Sagar allows its guests glimpses of it all. The property features The Zanana & Mardana which are the common dining lounging areas; the single rock cut swimming pool; the sun-deck meant for sunbathing and leisure; a customised itinerary; a unique menu, private dining & live cooking; a man made private lake with lounge decks and an organic vegetable garden. Experiences at the property include yoga and meditation, guided nature walks, breakfast in the fields, vegetable harvesting, village tours & Raipur fort visit, customized juttis & jewellery, jeep safaris, a trek to Fatehgarh fort, sundowners on the Zanana terrace, local liqueur tasting, live barbeques & cocktails by the lake and local music performances.